Hawaii is just as majestic as you see in the postcards, BUT many of the state’s most scenic places are best (and sometimes only) viewed by air and sea. Napali Coastline (Kauai): “According to the Hawaii Tourism Authority, “Kauai’s famous coastline is truly majestic, featuring emerald green pinnacles towering along the shoreline for 17-miles. The only land access is via the Kalalau Trail, an 11-mile trail that starts at Kee Beach, crosses five different valleys and ends at secluded Kalalau Beach.” It’s a pretty intense hike, and even then, you can’t really see the entire coastline in its entirety. To do that, you’ll need to book a boat tour, a kayaking trip, or an air tour to soak in the majesty of this area. 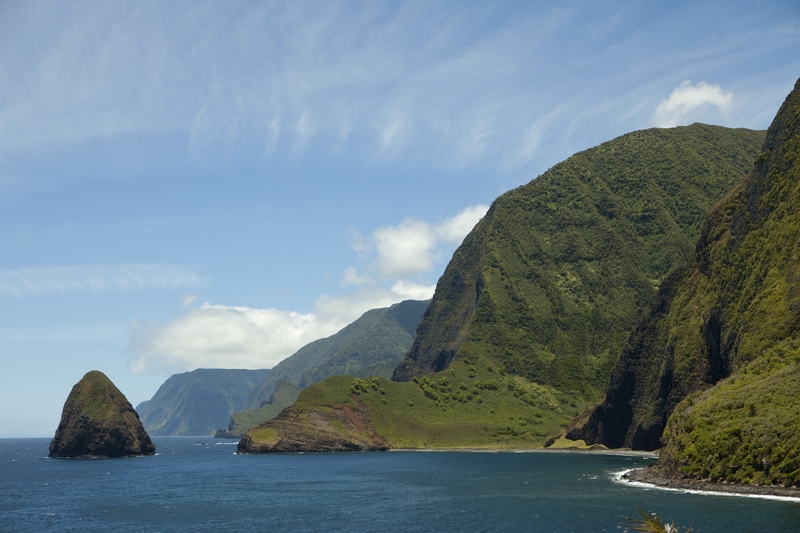 Boasting the world's highest sea cliffs, Molokai's north shore is most beautiful and less seen sites. North Shore (Molokai): Molokai may be one of the least-visited islands in Hawaii, but it’s certainly one of the most beautiful! Molokai is home to some of the most dramatic sea cliffs in the world — vertical sea cliffs spill 4,000 feet to the turbid shoreline below. For up-close views of a part of the world that has barely been touch by man, you’ll need to book an air tour. Lava Flow (Big Island): You can hike out only so far when trying to see the Big Island lava flows up-close. 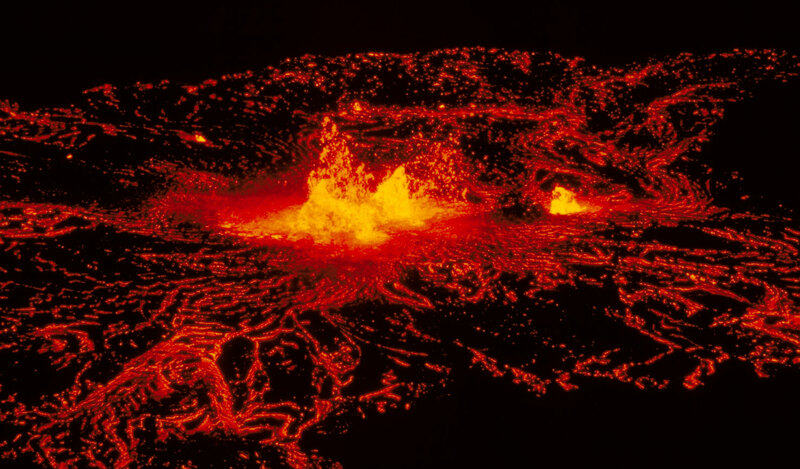 So, best to book an air tour or Volcano boat tour to see this spectacular event. Book your tour at night (if available), and you can see the juxtaposition of the red lava next to the dark volcano and ocean. Manawaiopuna Falls (Kauai): Remember the beautiful scenery during the movie, “Jurassic Park?” Yep, this is the waterfall made famous by the movie. But, there’s only one way to experience this waterfall and appreciate it — by air. Make sure you’re OK with heights and soaring mountains because this experience isn’t for the faint of heart! Kilauea's famous lava flow on the Big Island is best, and safest, to see via air. Haleakala and Hana (Maui): You can drive or hike to these two extraordinary sites, but better to get the aerial view from the sky! To really appreciate the grandeur of Haleakala, you’ll need to book an air tour (during sunrise/sunset is best). For Hana, you can always drive the Road to Hana, but if you’re on a time crunch, consider an air tour instead. FYI — you can usually book one air tour that will provide views of both Haleakala and Hana. No doubt, you can see lots of things in Hawaii by land and car, but some of the most beautiful places in Hawaii can best be seen by air or sea. So, take our advice, and consider booking an air or boat tour to get the best views of these extraordinary sites.